A man who has been on death row for 28 years may get a fresh chance at life. A Philadelphia judge stopped the execution of Terrance "Terry" Williams on Friday after discovering that a trial prosecutor "suppressed evidence the victim was molesting boys, "sanitized" witness statements before giving them to the defense and lied about a secret deal she'd struck with the accomplice. 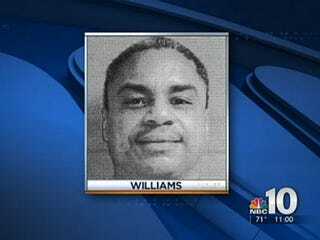 NBC reports that Williams, who says he was molested by his victim for four years, was slated to be executed on Wednesday. Williams, now 46, could still face the death chamber if prosecutors successfully appeal Friday's ruling. Philadelphia District Attorney Seth Williams, who planned an afternoon news conference, has called the defendant a "brutal two-time murderer." Common Pleas Judge M. Teresa Sarmina accused trial prosecutor Andrea Gelman Foulkes of "gamesmanship" in order to win the 1986 death-penalty case. "She did at times play games and take unfair measures to win," Sarmina said Friday, reading aloud her lengthy ruling. "She wanted to win." Williams was not in court, but his aunt, daughter and other supporters broke into applause.